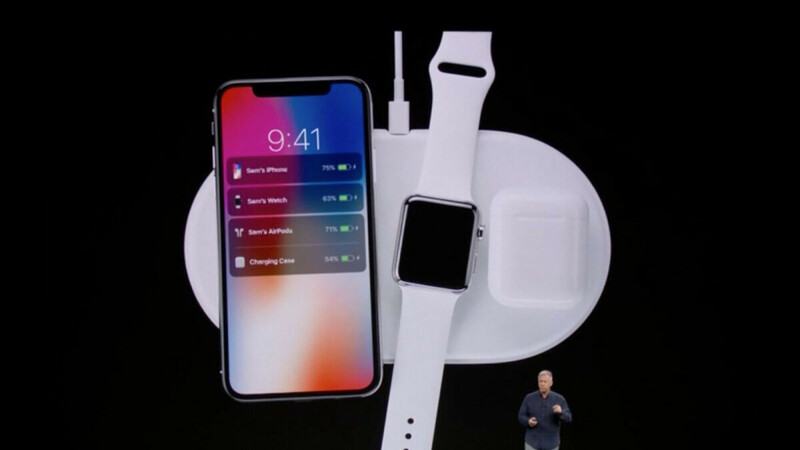 The Apple AirPower was supposed to bring us the future of wireless charging: Apple teased it way back in September 2017 as a charging mat that can simultaneously wireless top up the batteries on three different Apple devices, an iPhone, an Apple Watch and Apple AirPods. Well, 2018 is officially over and AirPower has not arrived. What is worse is that Apple has not said anything publicly about the status of the project and we don't even know whethere AirPower is still being developed or not. In the meantime, however, there was no shortage of rumors: the main theme around the futuristic wireless charger was that even Apple could not get rid of the overheating issues and the complexity of such a charger. The multi-coil design of the mat is allegedly what causes the overheating issue and what Apple could not overcome. Those were the rumors circulating this summer, while most recently, just a few weeks back, we saw two different sources, both optimistic about the release of AirPower in the near future. The famed supply chain insider Ming-Chi Kuo was confident that Apple is planning to release the wireless charger and new job listings at Apple continue seeking people in in Cupertino and Auckland, New Zealand to help "design, develop & launch next-generation Wireless Power Technologies in Apple products." We still don't know what this all means and whether Apple has managed to cope with the overheating issues, or whether it just plans to release a modified version of AirPower, but we still believe that the charger is coming and it could be released in early 2019. Looking at their dwindling sales forecasts, Apple has much bigger issues to correct/deal in 2019 than some stupid charger. Hope they learn from all the negativity. Happy New Year Folks!! Sales will continue to decline until they find a way to innovate or move to a new market. The iphone xs isn't different enough from the iphone x for people to upgrade. The only product Apple really made noticeable improvements to this year was the watch. The series 4 is a nice upgrade. Hoping they go back to innovating. The issue is price. The price is too high for most. Other dont see the value for the price. And the rest are smart enough to know a $1000 phone isn't IP67, isn't 720p stretched to o48p, that. 6.1' phone should have a closer to 4000mah batter vs only 29xxmah, and that a poorly spec'd phone still only last 4 hours with heavy usage while others get 7hrs. The XR just shows total cost cutting. Yet the Galaxy S7 3 years ago now had similar and yet better hardware specs for the same price. Price is only an issue if people dont perceive the value for the price. Of everyone claims no phone is worth $1000 and claims well the iPhone is, when it does less than the Note 9, S9, S8, Note 8 and OS even lesser than the S7, then they are a joke and retard ed and anyone listening to them is in the same sinking ship. when i shop for a new phone i never consider the brand or logo when looking, you will be amazed at how people will say an iphone is worth over 1000$ because it has an apple logo on it. my sister got the x 4 months after she bought brand new an iphone 8 plus, yet she throws it in a drawer and got the x for $1000+ i ask her whats the point and she tells me well its the new iPhone it has to be better in every way., she is also the kind of person to put those apple stickers on everything she owns. i truly dont understand why anyone would be loyal to any company for any reason, especially electronics companies. I do agree with you about Price especially since in my opinion innovation isn't there. This years phones aren't much better then last years so why spend even more for a new phone. I don't just think this is a apple issue either. The Note 9 is $1k also and not much different from a note 8. The Iphone XS has an amazing processor but most people can care less about that. Look at a iphone xs and a Iphone x they look the same. Same with a Galaxy s8 and s9. Why upgrade? Even the older "S" phones had something new on them... This year that really wasn't the case. I think Apple makes a great phone but you want people to buy a new one you have to give them a reason. @monkeyb, a team dedicated to ‘stupid charger’ has nothing to do with the other bigger issues. They already have so few products and thousands of employees. @iushnt, I do not want to talk about the team working on the charger. My meaning was that innovation in general is taking a hit at Apple, so much, that the charger issue sounds small. Also, Apple has many times in past redirected employees from Mac OS to ios just to finish their products in time and thus impacting Mac OS timely development. It makes me wonder if Apple should be hiring even more talent in all departments because of their sheer customer base and size. Also there are many other devisions than just products at Apple. The products we see are just a small percentage of all the things they work on. Just for your info PA yesterday was the 1st. So yeah it didn’t make it out. These are much different then what apple proposed in that the airpower was to allow placement anywhere on the pad to charge. What you show are pads with defined charge zones which have been around for years, not just 2017. Apple needs to either stick to adopting others technology since they do it well, or actually invest in some R&D. They are sitting on a mountain of cash and could hire the best, but they don't do it. They would rather play it safe and watch for market trends while maximizing profit, it's rather sad how the stock market and constant need to appease investors can actually result in less innovation and risk. Apple messing up again. First the HomePod was a year or so late that Amazon and Google got all the smart speaker sales. Then the XR was late and lost any buzz. It then took another 2 months to bring out XR cases... And now AirPowers Late too. Are Apple drunk?